Michigan made headlines the world over on April 6, when Gov. Rick Snyder announced that the state would no longer distribute no-cost water bottles to the communities of Flint – citing that water quality in the city has been below federal action level for lead for two years. International conglomerate Nestle stepped in and announced that they will donate water in the midst of the continued water crisis. Meanwhile, Nestle makes billions of dollars in profit from the water it pumps from nearby Evart, MI, for just a shocking $200 a year. This controversial juxtaposition launched a renewed call to #BoycottNestle, with members of the public condemning both Gov. Snyder and Nestle for their irresponsible handling of Flint’s poisoned water. 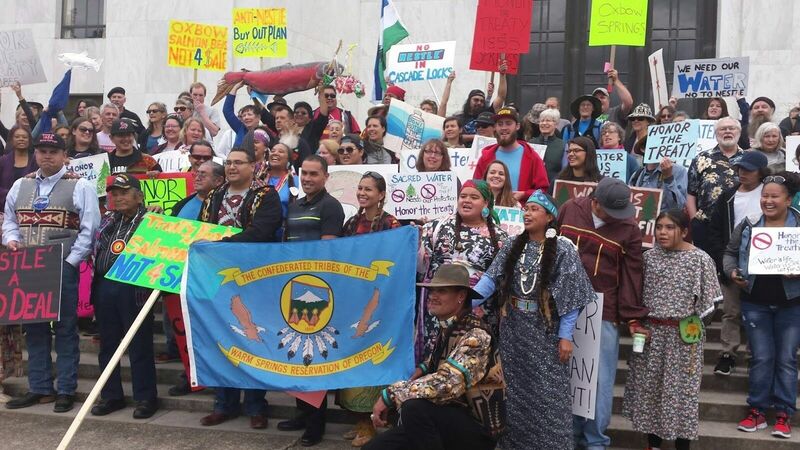 In solidarity with communities like Flint, affected by Nestle’s predatory business practices, Lakota People’s Law Project is asking for all protectors of Mother Earth to sign our Nestle Pledge and commit to boycott Nestle and all of its products. In the wake of the Flint backlash, the company promised three full trucks per week — 100,000 bottles — of water to be donated through Labor Day and distributed by the city’s three community help centers. It is unlikely, however, that this donation will help all that much; the residents of Flint, without access to clean tap water, use an average of 22,000 bottles of water a year just on basic needs. Nestle continues to publicly boast about the generosity of its work in Flint, including its donation of a million and a half water bottles to Flint’s public schools, but the unfortunate reality is that the company’s new permit will allow it to take an equivalent amount of water from Michigan every nine hours. Nestle’s new permit, awarded by the Michigan Department for Environmental Quality, allows it to pump 400 gallons of water per minute out of the state’s freshwater sources, for only $200 per year. And yet, some of Flint’s residents pay more than that per month for the contaminated water that courses through their taps. Flint residents, who have not had access to clean water in 1,510 days, are understandably not too keen on accepting bottles of water from the same company that is stealing theirs. Earlier this month, Michigan Citizens for Water Conservation filed a petition to challenge the permit approval. The egregious corporate behavior of Nestle in regards to water rights only compounds the company’s historical environmental and human rights violations. 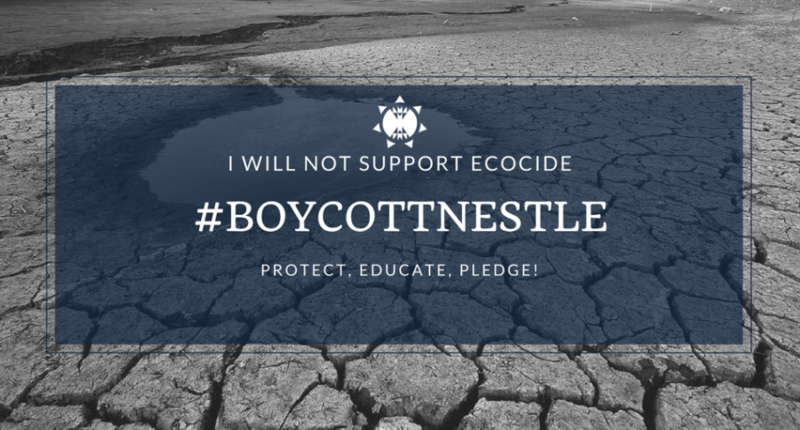 Given the fact that Nestle continues to act beyond the boundaries of ecological protection and basic human dignity, the Lakota People’s Law Project asks the public to consider taking our Nestle Pledge and commit to boycotting Nestle’s products. Nestle has a deep, irrefutable history of depleting fresh water sources for profit, without showing respect for such a critical, sacred resource. Founded in 1866 in Vevey, Switzerland by Henri Nestle, the company now owns over 2,000 brands in 189 countries, with $89.8 billion in sales generated last year alone. It has held the title of largest food company in the world since 2014. Nestle’s leadership, however, has garnered extreme opposition in recent years for its role in the commodification of water. In 2000, Nestle, along with the assistance of other large food corporations, persuaded The World Water Forum in the Netherlands to change the designation of water to be a human need, instead of a human right. Several years later, in 2005, Nestle’s chairman came under fire after he stated that the idea of water being a human right was “extreme.” He later clarified that he intended to mean water beyond what is required for basic needs (25 to 50 liters according to the World Health Organization) is not a human right. This clarification fell terribly short to many activists and indigenous communities across the globe — especially coming from a man who has likely never experienced living without enough potable water. Currently, Nestle markets bottled water under 72 brands in 160 different countries. By Nestle’s definition, impure and contaminated water is standard; clean, filtered water is a luxury. Thus, water, as lobbied by Nestle, is not merely a commodity — but a luxury good sold in a market dominated by Nestle. In order to profit off of water, first, one must own the rights to it. It's unclear when Nestle itself began bottling water, but the Poland Spring brand it owns has been bottled since 1845. As stated by the Nestle website itself, the majority of Nestle Waters North America water comes from spring sources and underground aquifers — as opposed to lakes, streams and reservoirs that supply most tap water. Nestle buys freshwater sources, such as aquifers, and resells it for an immense profit. Nestle’s annual bottled water sales alone reach approximately 10 billion dollars; almost a ninth of its total sales revenue. According to the Council of Canadians, Nestlé pays $3.71 for every million litres of water it pumps from a local watershed in Ontario, Canada. Afterward, the company packages and markets to the public for as much as $2 million. While the company’s recent gaffes have compelled consumers to spurn its products, Nestle is no stranger to boycotts. 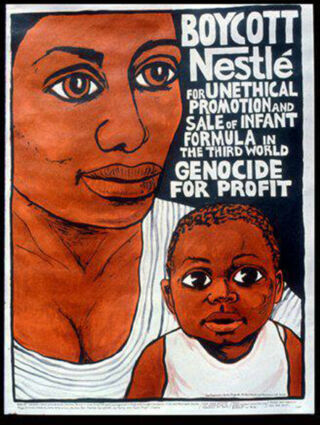 Following the publication of a 1974 report called “The Baby Killer”, Nestle became the target of a widespread boycott over its behavior in the developing world. The report, published by War on Want, alleged that Nestle marketed its infant formula in developing nations with misleading information, unethical sales tactics, insufficient labelling, and without any solution for the lack of potable water required for preparation of the formula. Sales women dressed in nurses’ uniforms offered free samples to new mothers and introduced the idea that their breast milk may not be sufficient. While it is true that some mothers in developing countries are affected by malnutrition, this tactic was manipulative because it added to a problem that it was purporting to solve — the excessive cost of formula as compared to breast milk contributed to poverty, which is the real root of malnutrition. Nestle also spent money on goods and improvements in exchange for hospitals giving out its products. In many cases, hospital staff fed the newborns with formula during their stay and sent the mothers home with a free can and bottle, establishing the potential for lactation to cease and/or for the baby to reject breast milk. This unethical promotion and false marketing led to malnutrition and infection in infants, completely avoidable if Nestle had not intervened to create a market for breast milk substitutes where there was not one previously. News of this hit the airwaves, inspiring a worldwide boycott of Nestle products. In response to the boycott, the World Health Organization developed guidelines for advertising breastmilk substitutes in 1981. Nestle claims to follow this code as it is implemented by each member nation. Member nations are not required by law to implement these guidelines, giving Nestle room to deviate in countries with less stringent enforcement. Despite over a three decade gap between the Code’s creation and the present, a recent study by the Changing Markets Foundation found that Nestle is still undermining the credibility of breastmilk as a source of food for infants by continuing to market its products as scientifically equal and/or superior to human breast milk, despite evidence to the contrary. Nestle also maintains an inconsistent stance on which ingredients are considered healthiest for babies. For example, in Hong Kong, it promoted its plain baby formula as healthier than other vanilla-flavored ones on the markets — although Nestle sells those same flavored formulas, just in other regions. Nestle’s claim that its products share “an identical structure” to breast milk— as they have made in Hong Kong and Spain — shows a clear disregard for the spirit in which the guidelines were enacted: to stop the exploitation of low income mothers by powerful transnational corporations. Until a recent investigation by the California Water Board, Nestle was depleting water resources with little regulation and oversight, thanks to an expired permit to pump water from the San Bernardino National Forest. The company hasn’t published reports regarding its water consumption in California, and there are no legal grounds by which they must track or provide this information. 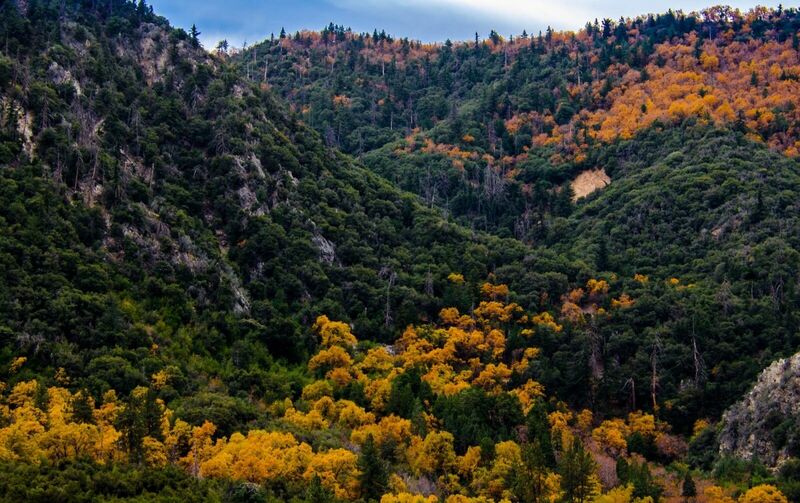 Through its inquiry, the Water Board determined that between 1947 and 2015, Nestle pumped an average of 62.6 million gallons per year from the San Bernardino National Forest. Nestle’s water consumption came under scrutiny during California's record-breaking drought, which lasted from 2011 to 2017. A 2015 probe by the Desert Sun showed that between 2011 and 2014, Nestle’s water use in the state increased each year. This article, coupled with a horde of complaints, led to the investigation by the Water Board into Nestle’s ability to pump water from the San Bernardino National Forest. The permit to obtain the water expired in 1988, but the company continued to take millions of gallons of water every year for the same annual permit fee of $524, as it awaited Forest Service renewal. During that same time, the Forest Service suffered from budget cuts resulting in a backlog of permits up for renewal. In the 20 years since Nestle’s permit expired, the Forest Service has failed to prioritize enforcement despite the high quantity of water that Nestle pumps each year. The Water Board’s investigation concluded that Nestle only has a valid right to use about 8.5 million gallons of water per year from Indian Spring, which is located inside the forest. The company also has access to some percolating groundwater that is not subject to control by the Water Board. Nestle provided a written response to the investigation, claiming it has the right to pump 88 million gallons from the forest. Activists maintain that the company’s presence in the area harms surrounding ecosystems, especially in times of drought. While the residents of Flint, MI are still coping with the impacts of consuming improperly treated water from the polluted Flint River, Nestle is allowed to pump from nearby Evart, Michigan, for just $200 per year. Four days after Michigan approved Nestle’s permit to increase its pumping from Evart from 250 gallons per minute to 400 gallons per minute for no extra cost, the state announced it would discontinue providing bottled water to the residents of Flint. 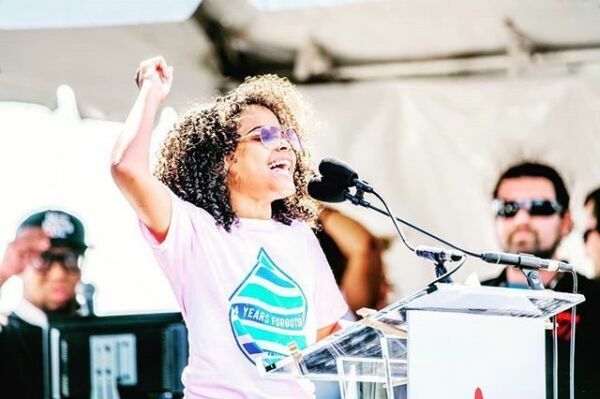 Flint’s activists were quick to point out that 12,000 homes in the city still need their lead pipes replaced and that the annual sum of water bills in the city were four times more, on average, than Nestle’s fee for the use hundreds of thousands of gallons per year. Governor Rick Snyder maintains that lead in Flint’s water has tested below levels which require federal action for over a year, but in the wake of government corruption that facilitated the water crisis, this is not reassuring to those living in Flint, many of whom still avoid using tap water. Activist Michael Moore, an American documentary filmmaker and author who has followed the issue passionately, says that Nestle has dealt with many lawsuits in northern Michigan for the water it takes and bottles for sale. Nestle reached a settlement with Mecosta County, Mich., in 2009 according to which it agreed to decrease withdrawals from 400 gallons per minute — the same amount it is now going to pump from Osceola County — to 218 in Sanctuary Spring, with more restrictions in the spring and summer, in an effort to reduce environmental impact. By taking spring water directly from the source, which is the case in Mecosta County, Nestle’s water use does more ecological damage than municipal water use because those supplies are typically drawn from larger bodies of water. In accordance with its new permit, Nestle must produce a plan to monitor water pumped in excess of 250 gallons per minute to prove they are not causing adverse environmental impacts before they may begin pumping at the higher volume. The permit process is overseen by the Michigan Department of Environmental Quality (MDEQ), which did not allot a particular amount of time for the company to submit these plans. Another obstacle in Nestle’s path is its inability to produce sufficient infrastructure for the increased amount of water due to a lawsuit with Osceola Township over a zoning decision. The township refused Nestle’s request for a special land use permit in order to build a new pump house, and the case is pending in the Michigan Court of Appeals. It is unclear if and when Nestle will be able to implement the increased water extraction. Nestle’s depletion of Michigan’s freshwater sources is already having a noticeable ecological impact, too. Water levels in the Chippewa and Twin creeks in the Osceola Township are now too low to house the same trout that swam there 18 summers ago. “Privatization of water, in our view, is wrong. It belongs to the people and it belongs to the ecosystem,” says Peggy Case, president of Michigan Citizens for Water Conservation—one of several groups fighting Nestle bottling in the state. Nestle owns and manufactures a wide array of products that use palm oil — a type of vegetable oil that has been increasingly tied to reckless means of production which contribute to deforestation, loss of habitat, and the removal of indigenous peoples from their lands. Many everyday products contain palm oil its derivatives; there are, however, suitable alternatives to palm oil. Nestle, however, continues to employ it in its products, despite the threat it poses to rainforests, wildlife, and indigenous communities across the planet. After a Greenpeace campaign in 2010, Nestle pledged to stop using palm oil that was produced by companies contributing to deforestation; however, it, along with other multinational corporations like Mars and Hershey, was recently implicated in the use of palm oil produced by clearing Indonesian national forests once set aside for conservation. These forests contain an abundance of peat, dead vegetation that has begun decomposing and is saturated with water. When peatlands are cleared and drained from these forests to make way for palm oil plantations, the dry material that is left can cause fires. Because peat is a carbon sink, these fires are almost impossible to put out. The unnecessary fires add pollutants to the atmosphere, negatively impacting the health of people who live and work around the plantation. 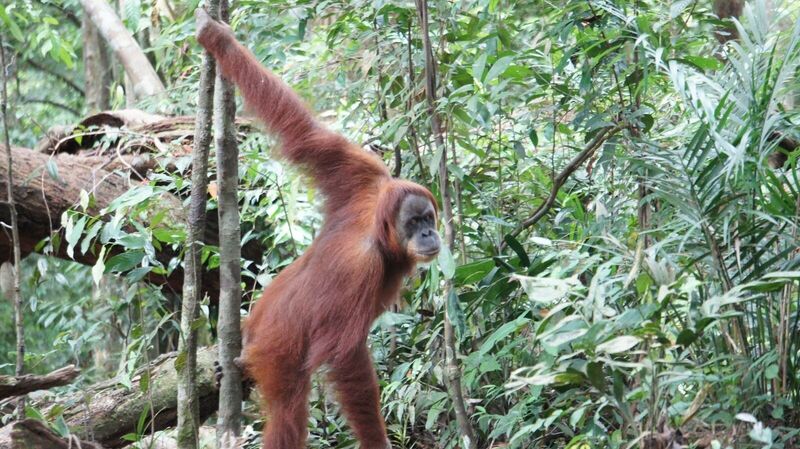 In addition, these peatlands serve as habitats for endangered animals like tigers and orangutans. As is typically the case with transnational capitalism, indigenous people in countries that produce large amounts of palm oil — like Indonesia and Malaysia — are pushed out of their traditional homelands to make way for production of this profitable commodity. In Indonesia, specifically, these peoples do not have legal ownership of their customary lands; therefore, it is easy for the country to open these forests up to palm oil production. The promise of economic prosperity often outweighs the government's supposed commitment to upholding customary land use. As a large market force seeking cheap palm oil, Nestle’s presence encourages these unsustainable and unethical practices. Those will only cease if the company is pressured into making real changes. Nestle has a deep, irrefutable history of reckless water depletion, false marketing, deforestation, and health threats. Due to a lack of regulation and oversight, Nestle’s massive power and outrageous profits continue to allow it to act irresponsibly. The company’s habitual depletion of water from numerous sites across the globe, including California and Michigan, all too often leads to environmental damage and health risks for surrounding regions and communities. False marketing of breast-milk substitutes in developing nations adversely impacted an unknown but significant number of children, whose descendants may still feel repercussions to this day. Nestle’s complicity in deforestation has displaced both people and animals native to the rainforests that are cleared for palm oil cultivation. As long as these unjust practices continue to turn a profit for Nestle, the company’s track record shows that it will continue doing whatever is in its own interest. Because this is a for profit corporation, the greatest way to incentivize changes to its unsavory business practices is to boycott. The best way to protest Nestle’s intolerable behavior is to proactively avoid Nestle and all the products it owns. Anyone who is concerned by human and environmental rights violations, please consider signing the Lakota People’s Law Project’s #NestlePledge. Correction: A former version of this article stated that Nestle announced it would no longer donate bottled water to to the community of Flint, Mich., on April 6. This has been amended to say that its donations stopped on that day as a result of a government decision.